After AED.com's Facebook was page launched in April 2012, the fan base grew quickly. 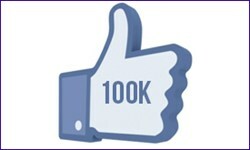 Recently, AED.com hit a milestone by reaching 100,000 fans on the page. It's crucial that we are a trusted source of information and have an open line of communication with our current and potential customers. AED.com, a leading Automated External Defibrillator (AED) distributor, recently surpassed the 100,000-fan threshold on their main social media outlet, Facebook. AED.com has maintained a social media presence since their website launched on April of 2012 and set out to spread awareness about sudden cardiac arrest and the importance of implementing AEDs into the public. "We utilize AED.com's Facebook page to educate and inform people about AEDs, as well as connect with them and answer all of their questions," commented Justin Darby, AED.com Director of Marketing. "It's crucial that we are a trusted source of information and have an open line of communication with our current and potential customers." Sudden cardiac arrest is becoming more common and the use of AEDs is critical to save a victim's life. For every minute that passes without therapy from an AED, the victim's chances of survival decrease by 10 percent. "Most people have heard of an AED, but don't realize what it does or its importance. We are fortunate to be able to reach a large audience through Facebook and stress this importance, as well as address any questions that our fans may have," remarked Darby. The page features a wide variety of content including AED save stories, latest industry news, surveys, contests, and more. 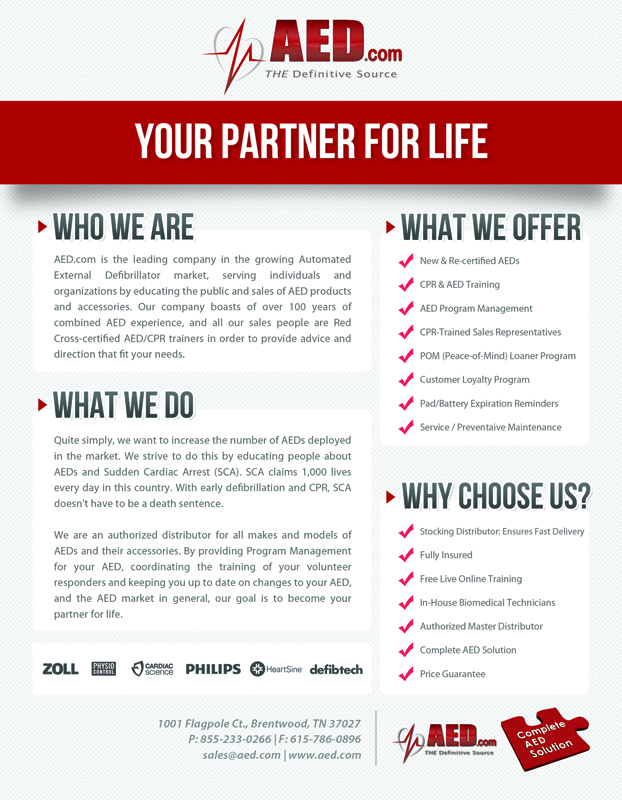 AED.com can also be found on Twitter, Google+, Pinterest, YouTube and LinkedIn which are updated frequently. Additionally, AED.com hosts a blog that continues to be a leading online resource for information about automated external defibrillators (AEDs). For more information, please visit: http://www.aed.com/.